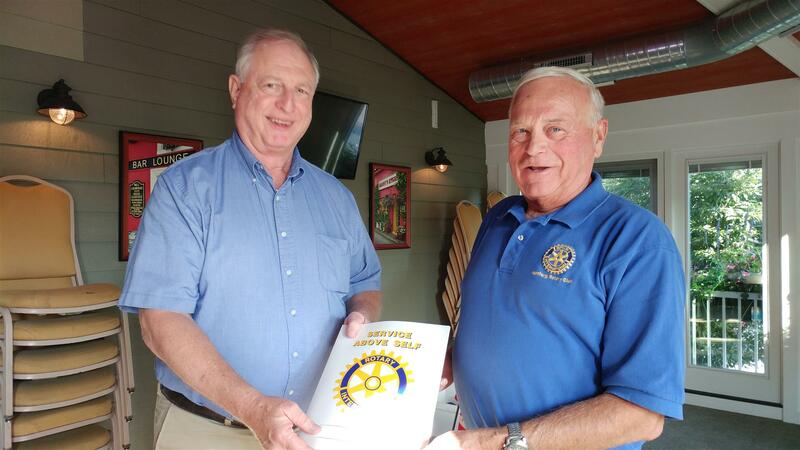 The Rotary Club of Hamburg inducted new member John Nowak into the club recently. Nowak is a former member of Rotary in the Virgin Islands and is retired from the Boy Scouts of America. He relocated to Western New York to join family members. Pictured are Nowak, left, and Bastedo. The Rotary Club celebrated its 75th anniversary this year and meets Tuesdays at 6 p.m. at JP Fitzgerald’s Restaurant.